The beauty of hydraulic quick disconnects in Fresno CA is that they make working on your hydraulic equipment so much easier. When you use quick disconnects, you don’t need specialized equipment to remove a hydraulic component from your system. Plus, with the right kind of quick disconnects, you can still maintain system or residual pressure during a repair. This saves you time and money while on the job. 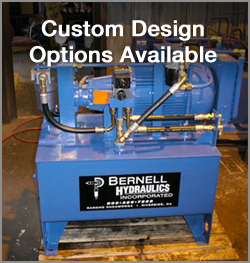 Bernell Hydraulics is proud to be an authorized distributor for Parker hydraulic quick disconnects in Fresno CA. Since Snap-Tite was acquired by Parker in 2012, we are now an authorized distributor for this trusted brand as well. If you can’t make it into one of our stores to pick up your new quick disconnects, we’ll be happy to deliver it to you and install it in your equipment, or mail it anywhere in the US if you order online.